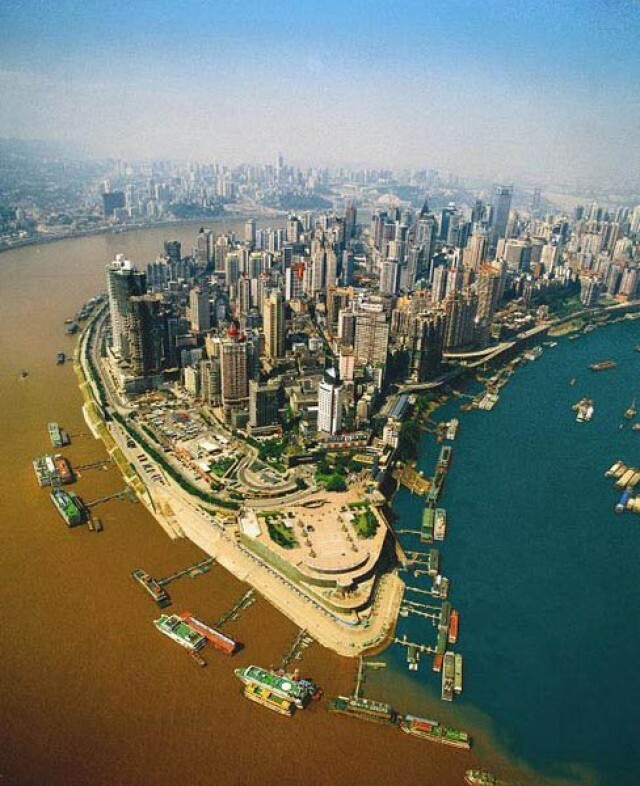 The confluence of the rivers Czâlin (clean water) and Yangtze River (brown waters) in Chongqing, China. 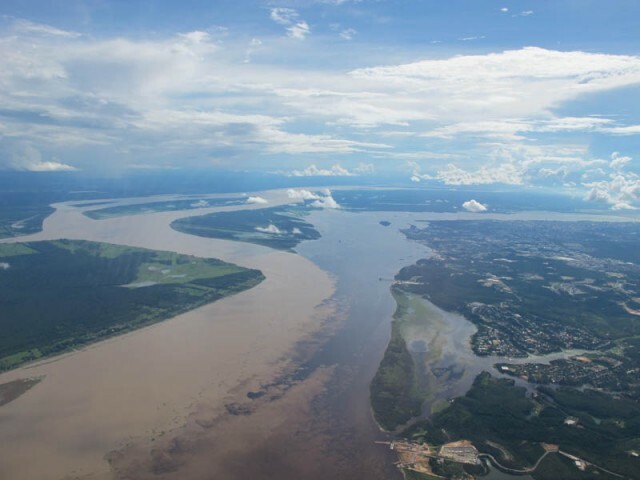 In geography, a confluence is the meeting of two or more bodies of water. 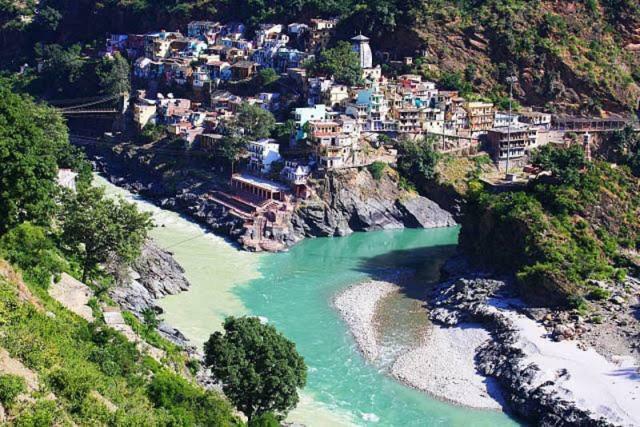 It refers either to the point where a tributary joins a larger river, called the main stem, or where two streams meet to become the source of a river of a new name. 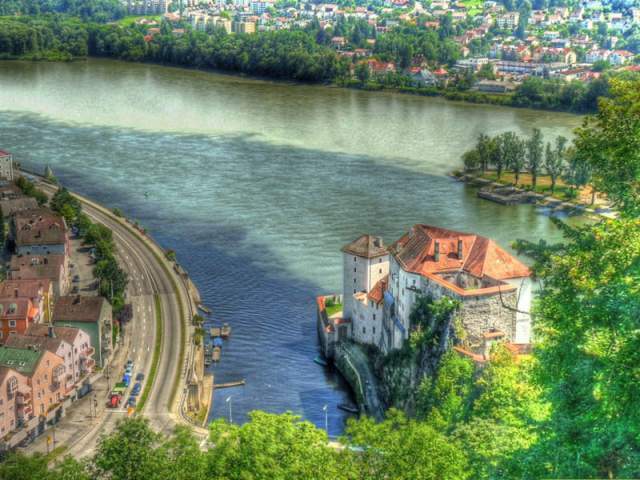 The confluences in the photos below create dramatic visual contrasts. 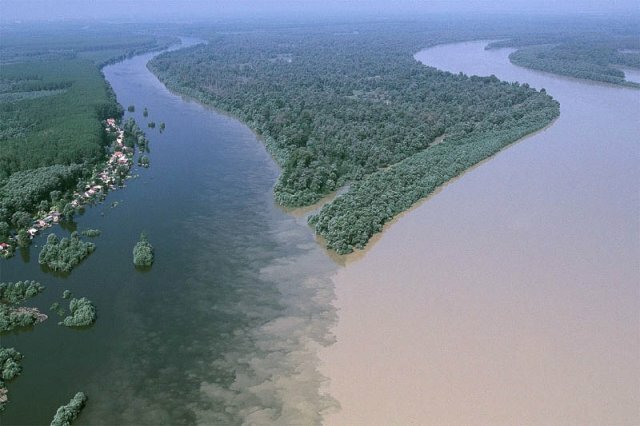 Confluence of the Drava and Danuve Rivers near Osijek, Croatia. 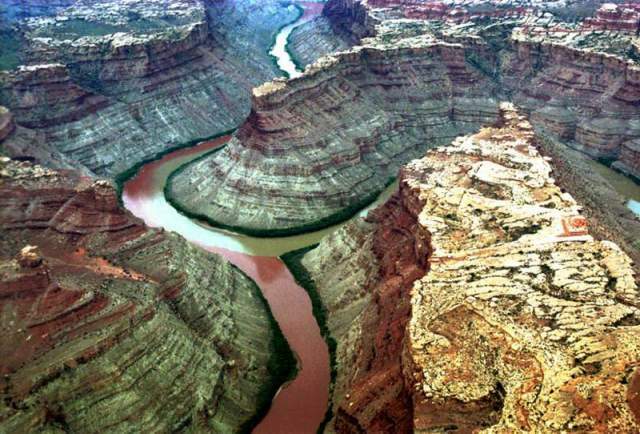 Confluence of the Green and Colorado Rivers in Canyonlands National Park, Utah, USA. Sad? You are grossly misinformed if you think human waste is the cause of the difference in colors. Half of those photos are from some of the least polluted places on the planet. It’s just loose soil. All I can say is “WOW!” Who knew? I had no idea! These are most informative as well as visually stunning. OMG, Wow, I never thought such colour would separate in contrast through water! Is it because one side is shallower water and more muddy than the other? If it is slightly more muddy on one side for example, how does it stay on one side? I am curious! 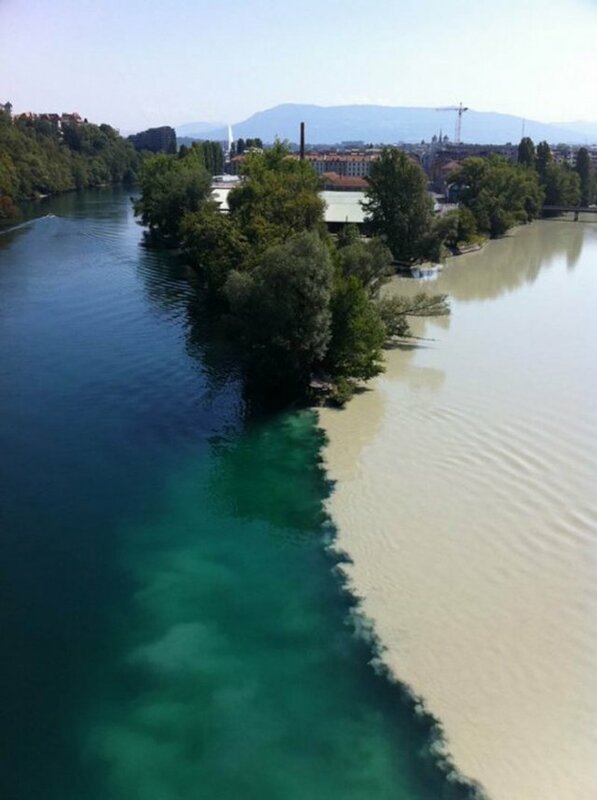 Yep, the two bodies of water stay separated even though they are in the same place, because of differences in density and temperature. 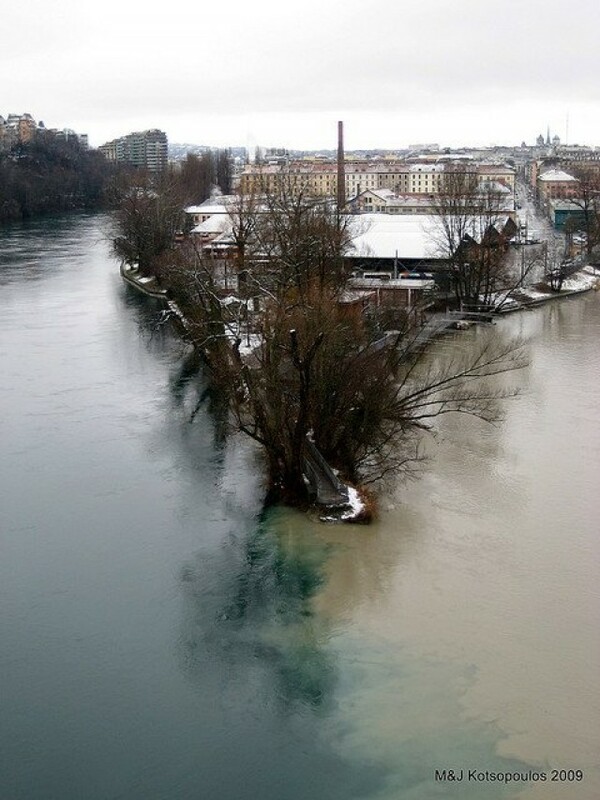 I had no idea there could be such a dramatic contrast where the two rivers meet. Very interesting. Wow, very interesting and beautiful! Thanks for teaching me my word of the day!